Dean from Australia: Secrets of the Peramangk - Cover Art Revealed. Secrets of the Peramangk - Cover Art Revealed. 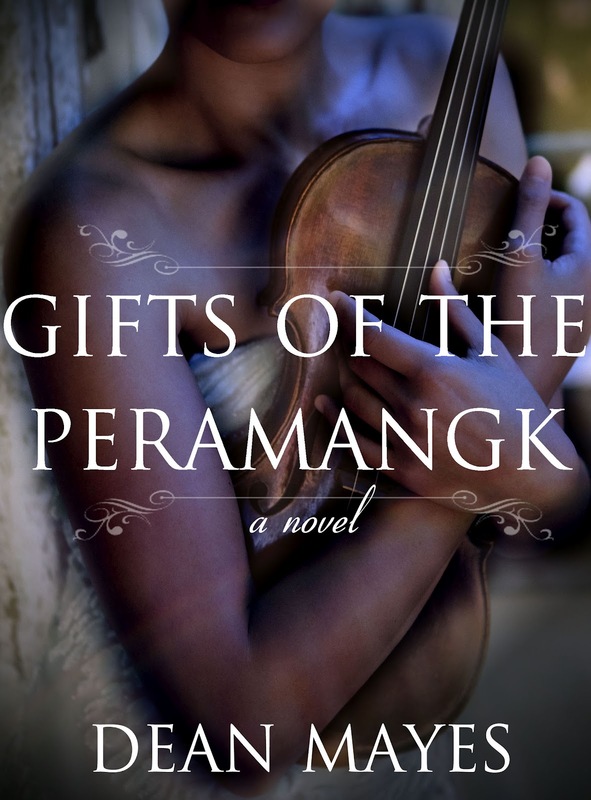 During the planning stages for the cover art for "Gifts of the Peramangk", I had a vision of what I wanted for the cover and, uncannily, my publisher had a very similar vision - that was, we both saw an image of a violin being held in an embrace by two delicate arms representing the dual protagonists of Virginia Crammond and her granddaughter Ruby Delfey. Cover design is perhaps the most important aspect of the writing process for me after the actual writing itself and I firmly believe that nailing a good cover is important to the success of the project. They say that one should never judge a book by it's cover but I personally don't buy that maxim. Without a well thought out and eye catching cover design, your book might sink before it gets the opportunity to swim. I had wanted to achieve this image by returning to the skills of my good friend and Hambledown photographer, Melissa Alexander, and we talked about the possibility of photographing a young Aboriginal girl whom Melissa knew. Unfortunately, time constraints and the eventual unavailability of the girl meant we had to abandon the idea but the vision remained. 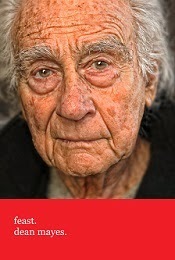 So I turned to the web and spent, literally, hours scouring the various stock photography websites looking for an appropriate image that the art department at Central Avenue Publishing could use. But, I just wasn't finding anything that came close to what I wanted. There were some close calls and I short listed about a dozen images of both girls and women holding the violin - but none of them really had the requisite passion that I envisioned. Stock photography is a curious beast. Depending upon what you're after, it can either be a feast or a famine...and in this case, it was definitely a famine. Weeks rolled by and I agonized over the images I had available to me. I grew increasingly dissatisfied with them and of course, I ended up abandoning my entire short list completely. 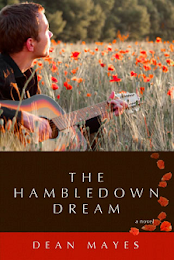 Late one night, while everyone was asleep, I tossed and turned in bed ruminating over my dilemma and eventually I got up. I tip-toed down to my study and flipped on the laptop and in the darkness, I began a bleary eyed Google search at 2 in the morning. "Show me a picture of a woman holding a violin!!!" The result began as a predictable miasma of unrelated images and close but no cigar images. Right away, I knew there was something special about this image. The hands and the violin, the embrace that I was looking for...it was all there in this wonderful moment. Clicking through to the source page for the image, I discovered I was looking at celebrated violinist Anne Akiko-Meyers. 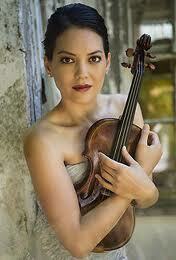 Anne Akiko-Meyers is an American concert violinist. Meyers has toured and collaborated with a number of symphony orchestras, Il Divo, Chris Botti, and Wynton Marsalis. Meyers tours with a 1730 Stradivarius violin called the "Royal Spanish". She is also the owner of a 1697 Stradivarius called the "Molitor", which is purported to have been owned by Napoleon Bonaparte. She purchased the 'Molitor' from Tarisio Auctions on October 14, 2010 for US$3,600,000, the highest recorded auction price for any musical instrument in history until the Lady Blunt was sold on June 20, 2011. Meyers was featured on MSNBC's Countdown with Keith Olbermann on October 26, 2010. From the profile information on Anne, I discovered the photographer for this image was Lisa-Marie Mazzucco. Based in New York, Lisa has become renowned as the photographer of choice for many musicians and artists and has amassed a catalogue of well over 100 album covers to her name. Born in Canada, Mazzucco originally trained as a classical ballet dancer and figure skated competitively before transitioning into photography. She has traveled widely as a make up artist, collaborating with her husband, Raphael Mazzucco, himself a photographer and they work together frequently on various projects. 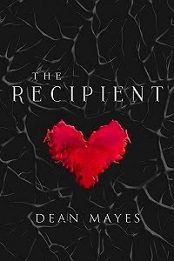 So, bleary eyed at 2 in the morning, I grabbed as much information as I could on both Meyers and Mazzucco and quickly tapped of an email to my publisher, Michelle Halket, up in Vancouver. This was the image I wanted to use. With a little re-touching, I was confident we could make this work. However the catch would be whether we could actually use the image. Michelle, as equally excited as I was, immediately went to work and got in touch with Lisa-Marie Mazzucco herself. After discussing our project with her, Lisa was both intrigued and a little excited by what I was doing. The only catch was putting the idea to Anne Akiko-Meyers herself. A week or two went by from there as we waited patiently to see if the celebrated artist would agree to our using the image for the cover. We were not to be disappointed. Michelle received word back from both Anne and Lisa that they would be thrilled to have the image used for the cover and they were excited to see what we would do. The image was then put into the hands of Central Avenue Publishing's art department who set about re-imagining the photo to mine and Michelle's wishes. We wanted the attention placed on the hands and arms embracing the violin - a representation of both Virginia Crammond-Delfey and her granddaughter Ruby. Obviously, this required a darkening of the skin tone to reflect the Aboriginal heritage of the two main protagonists as well as removing Akiko-Meyers face. In our discussions, Michelle and I agreed that the face wasn't a necessary image to have in the cover as the focus was less about the face of the character but rather, the character of the violin and how it influences both protagonists. Once we were satisfied with the final image, we talked about the text and how it should be portrayed. A classical look was sought for the font, something that would imply dignity and hint at the classical nature of the music that would feature in the novel. While this first iteration came very close to being the final, after a few days getting used to it, Michelle began to question whether the text was too dominating on the plate. It seemed to drown out the beautiful imagery we had achieved underneath. So we toned it down somewhat and reduced the size of both the font and my name in order to highlight the beauty of the image itself. The addition of the patterning complimented the image after a suggestion by me that we should try and source some Peramangk iconography from actual Peramangk artwork. I made inquiries to see whether this would be possible and I came close to being able to secure some art but the costs involved in being able to use it were too prohibitive and ultimately I abandoned it. The patterning we adopted still hints at the indigenous character of the novel and works well in the final design. After sharing this iteration of the cover around among a circle of friends closely associated with the project, I received some feed back from good friend and author Nichole Chase, who suggested that we should dial up the prominence of my name. She said "You put yourself into this thing, don't be afraid to show it" - or something like that. After a little retooling, trying different coloring in the font for my name, we arrived at the final cover art for "Gifts of the Peramangk". The essential ingredients of this final cover include the prominence of the image in portraying the dual protagonists of the story and their connections to their indigenous, Peramangk, heritage. It also gives prominence to my name and the title over the story without over powering the image and of course, the violin is easily recognizable as a "character". 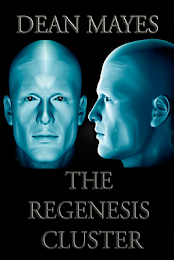 There is no denying that the cover art for a novel can have a powerful effect on a potential reader. In itself, it tells the story, hinting at what the reader can expect by delving into the heart of the literary journey contained within. Careful consideration must be given to cover design and it should be a collaborative effort with a group of people who are acquainted with your project and can contribute many ideas that can benefit. Spotlight on Gifts of the Peramangk. Gifts of the Peramangk Signing Event.